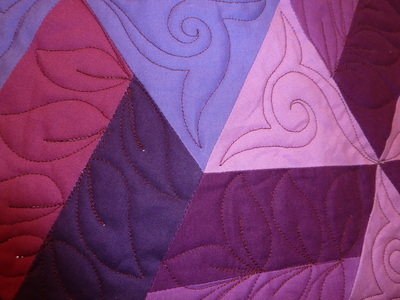 Opportunity Quilt Chairman, Susan Gates-Harms, and her committee invited members to gather 'round at Susan's home to create this magnificent quilt. Members worked many hours to complete this quilt. Thank you to Susan and all members who contributed! 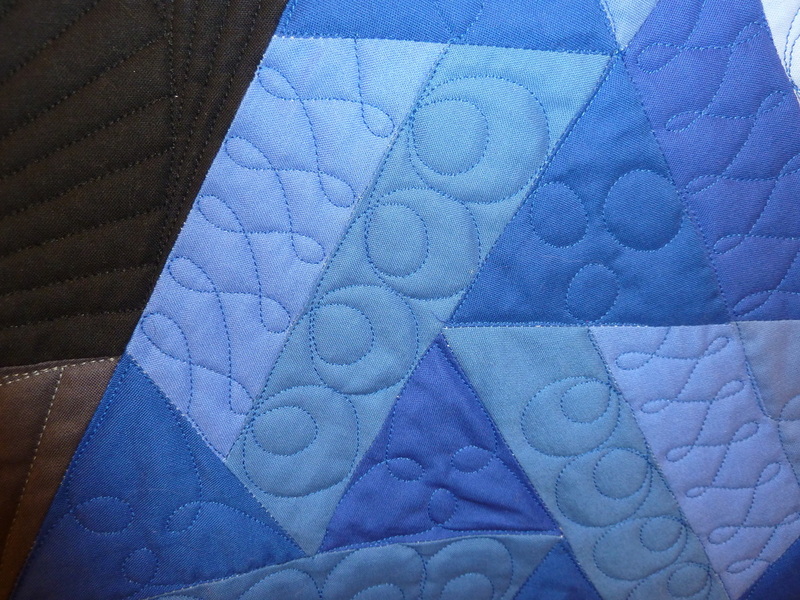 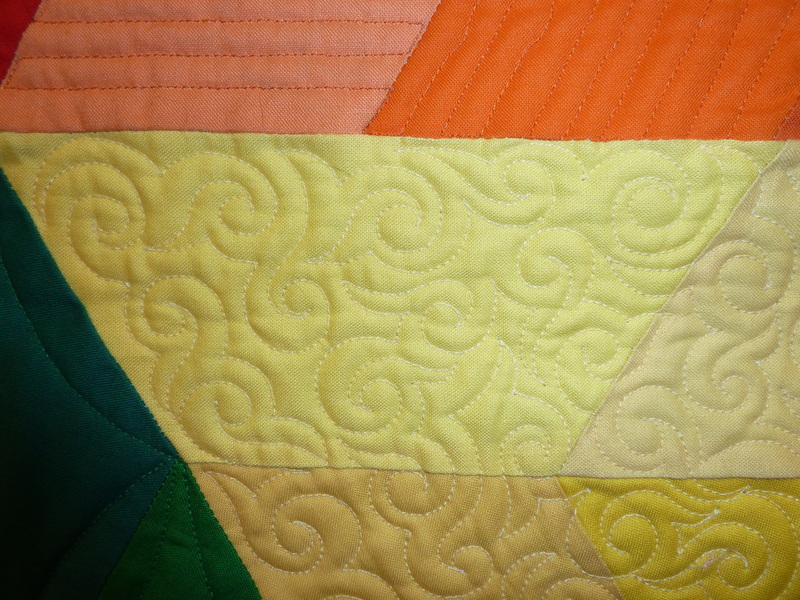 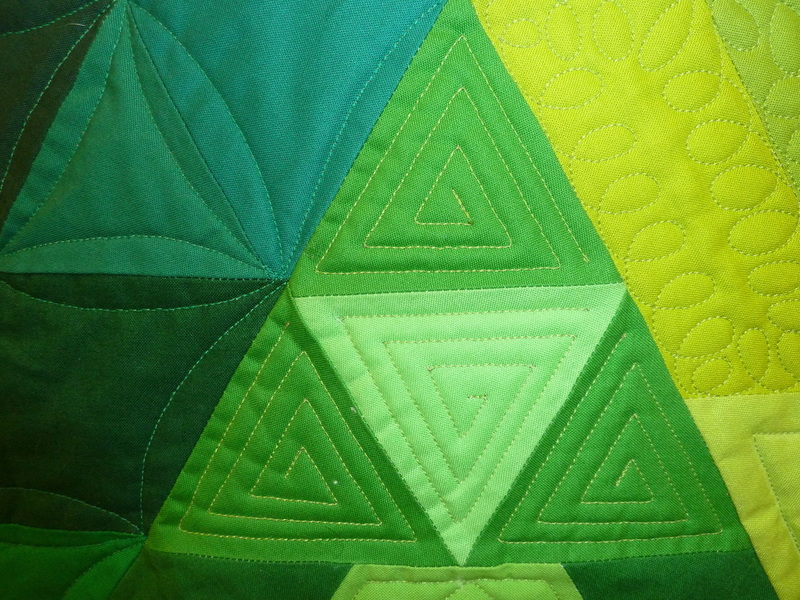 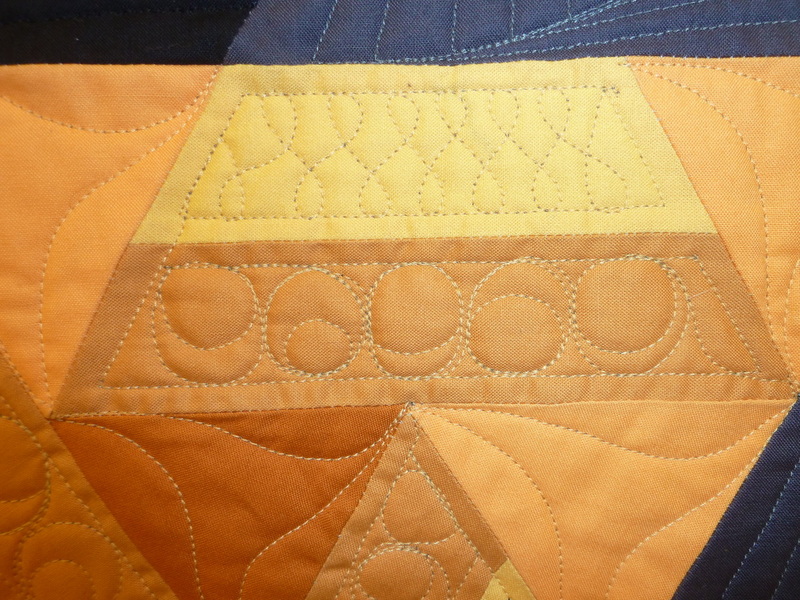 The colors are brilliant and the varied quilting is supreme. 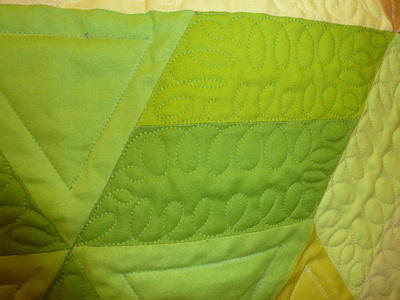 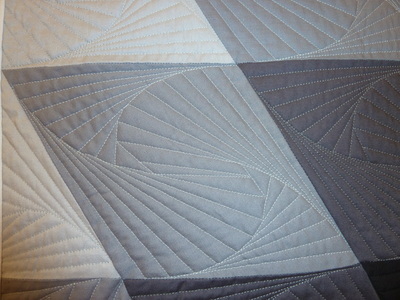 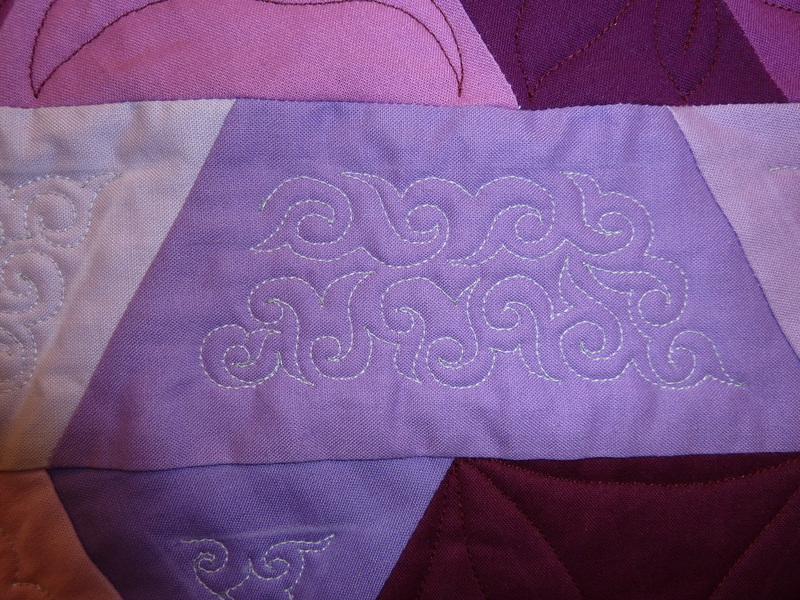 Below are a few snippets of the quilting that was done by Cindy Phare. Thank you Cindy for all of your hard work! Spirit of Chino Based on a Julie Herman design. Charlene McCauley, Opportunity Chair & Roberta Akin enjoying the day.